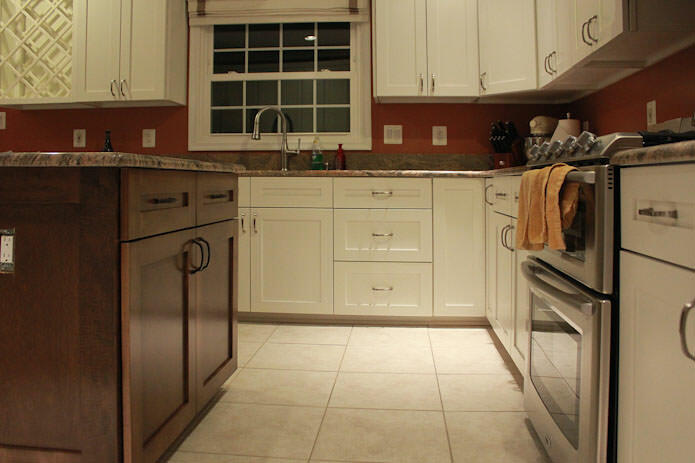 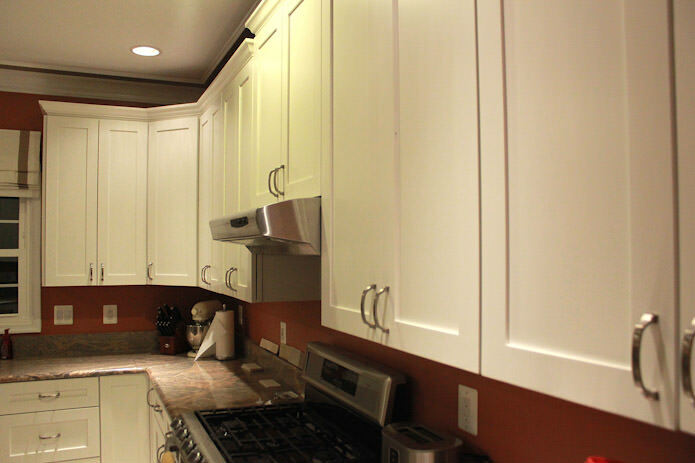 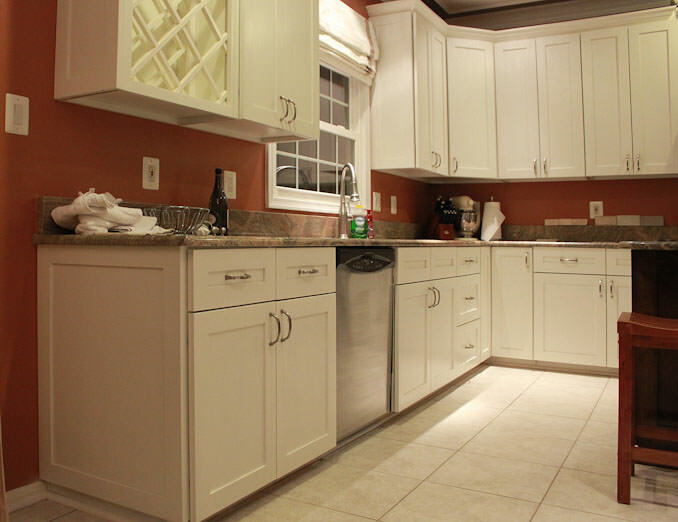 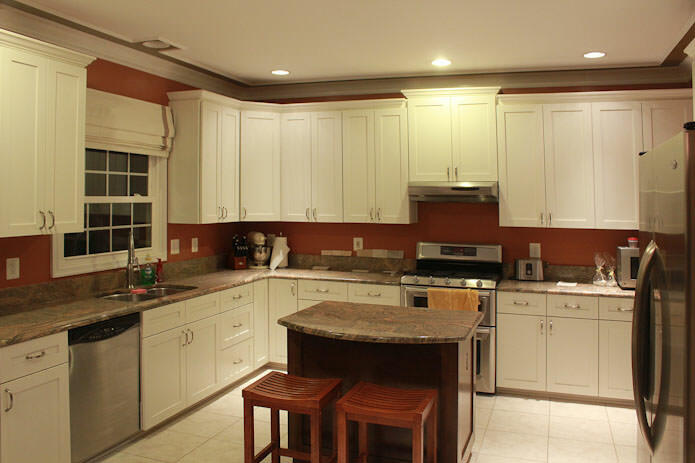 Builder grade, white washed ½” overlay oak cabinets were refaced with solid wood, beautiful full overlay shaker doors and painted off white. 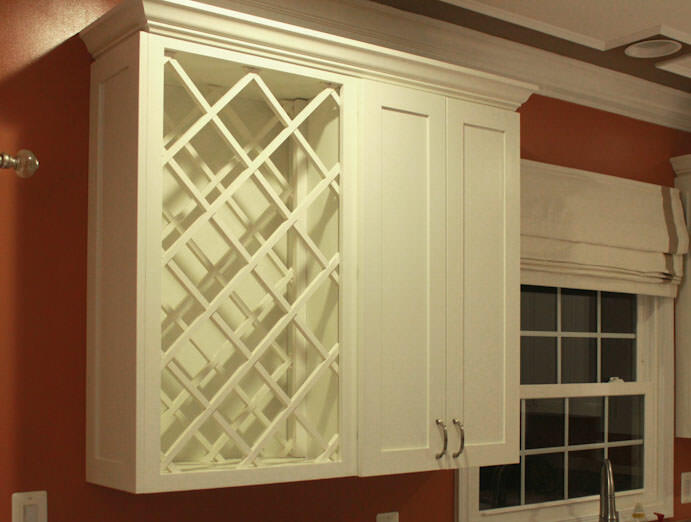 The wall cabinets above the cooktop were raised for a more custom feel, crown molding was installed and a double wall cabinet was replaced with custom built wine racks. 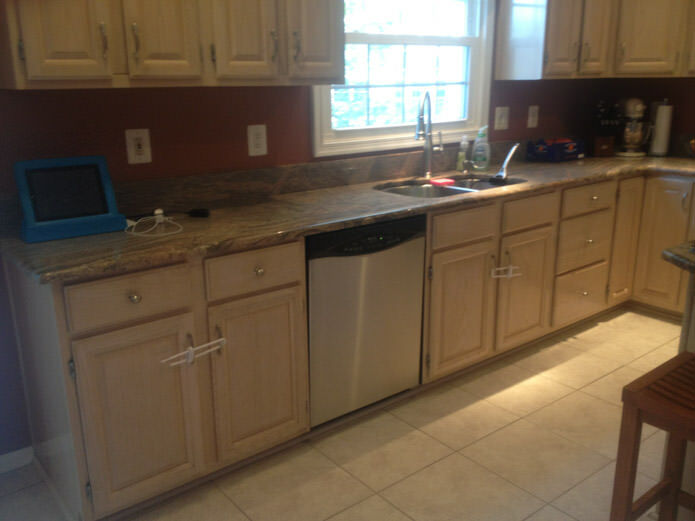 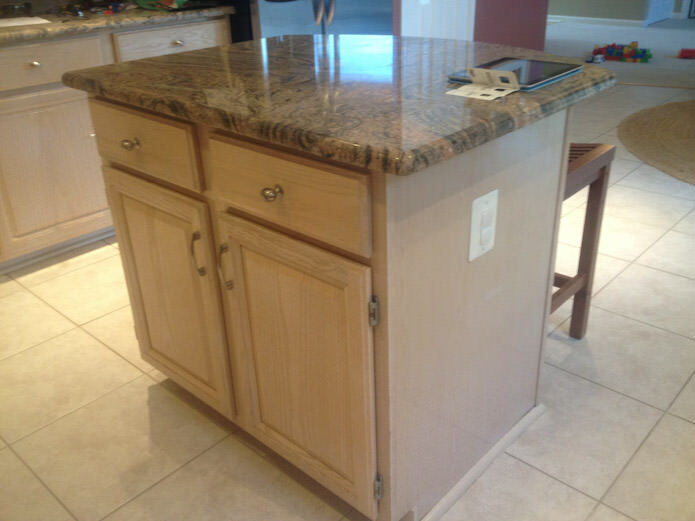 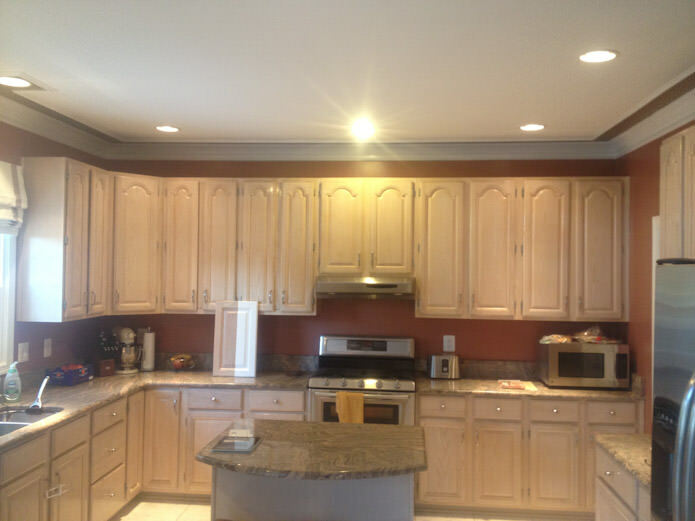 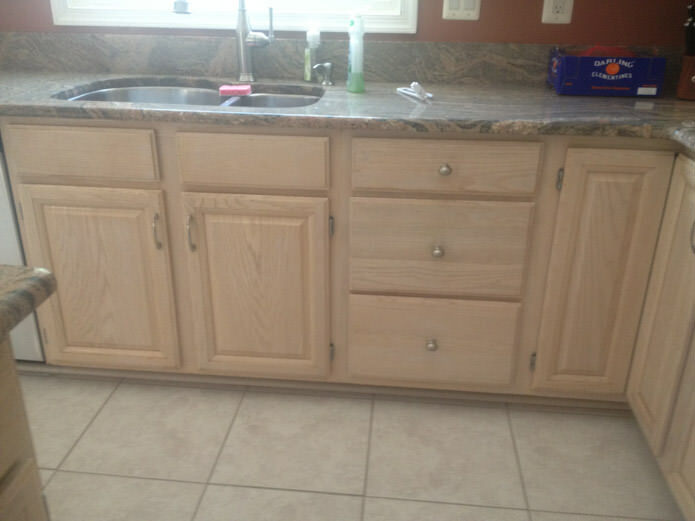 The island was also transformed by adding solid maple trim with maple side and back panels, full overlay shaker doors and stained dark brown to match the existing stool.